Over 20 staff and partners at Burnetts successfully completed the 27-mile “Herdy Hike” in aid of the Lake District Calvert Trust. A team of more than 20 walkers from a Cumbrian law firm has completed a 27 mile “Herdy Hike” along the Go Herdwick Trail to raise money for the Lake District Calvert Trust. 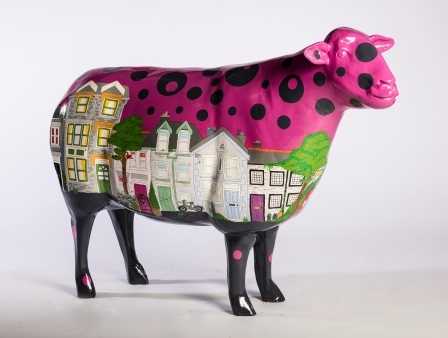 The Go Herdwick Trail stretches through the Lake District from Mirehouse to Bowness. Burnetts’ hikers, accompanied by friends, family and dogs, completed their challenge on Saturday 16th and Sunday 17th July, one of the hottest weekends of the year so far. 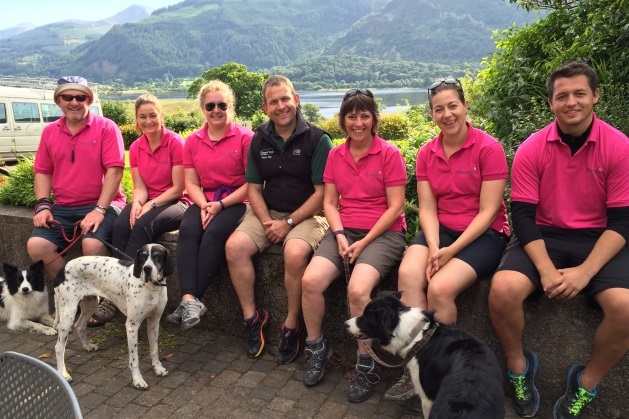 The team from Burnetts is on course to raise £1,000 for the Bassenthwaite-based charity which provides challenging outdoor adventure holidays for people with disabilities. 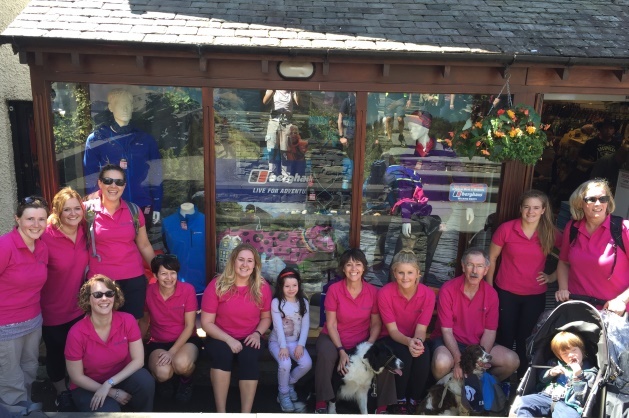 The firm has already raised more than £6,000 for the Lake District Calvert Trust over the last 18 months. Go Herdwick is a public arts project being run by the Lake District Calvert Trust - the Go Herdwick flock includes 60 life size ewes, all of which have been beautifully decorated as a result of sponsorship by organisations including Burnetts. Paying a visit to Nettie, the ewe sponsored by Burnetts, was one of weekend’s highlights. Nettie was painted by Keswick artist Helen Smith and is on display in the window of Gaynor Sports at Ambleside. Paying a visit to Nettie, the ewe sponsored by Burnetts, was one of weekend’s highlights. The Herdy Hike finished at the Lake District Calvert Trust on Sunday afternoon when the team was met by Sean Day, Centre Director who kindly provided tea and cakes. Sean said “Huge thanks to all of the Burnetts team and their supporters who took time out of their weekend to fundraise for us. The weather was kind but it was still a challenging distance. The team from Burnetts completed the 27-mile "Herdy Hike" along the Go Herdwick Trail in aid of the Lakes District Calvert Trust. Burnetts’ Herdy Hike was organised by trainee solicitor Rebecca Davidson. 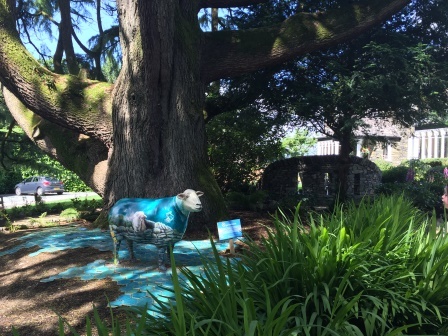 The Go Herdwick flock includes 60 life size ewes found throughout the Lake District, from Mirehouse to Bowness. Burnetts’ 15 partners employ 108 people. The firm has offices in Carlisle, Cockermouth, Penrith and Newcastle. To sponsor Burnetts’ team, visit https://www.justgiving.com/fundraising/BurnettsHerdwickHike.